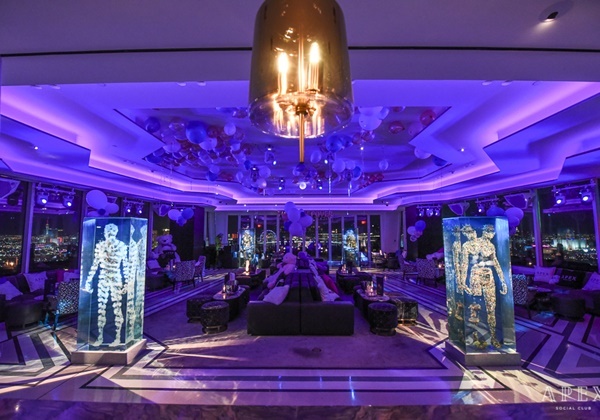 Apex Social Club at the world-renowned Palms Hotel & Casino is Las Vegas’ newest nightlife destination. Taking over the venue previously held by Ghostbar, Apex offers club-goers a new approach to the nightlife scene. With a strong focus on people and socialization, the social club has created a comfortable and laidback place to talk, dance, and drink while enjoying panoramic 360 degree views of the city down below. 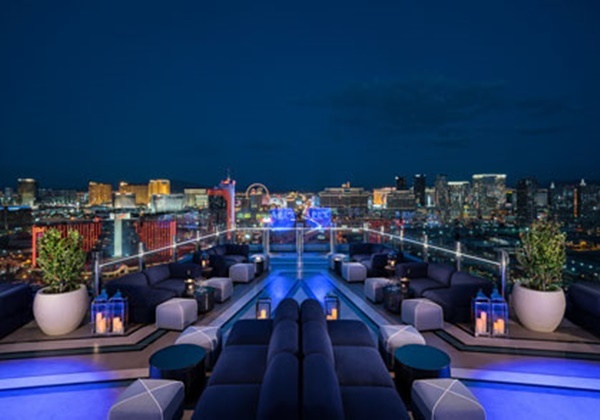 Apex can be found on the iconic 55 th floor of the resort and features an incredible 8,000 square foot of space in its open-air contemporary club environment. The rooftop party offers both indoor and outdoor places to hangout. 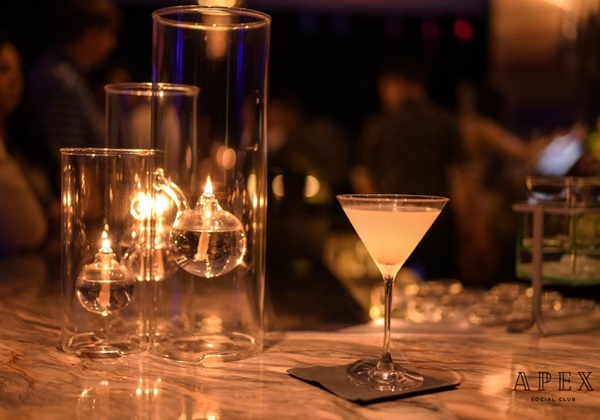 Upon your arrival to Apex, you’ll be met with a bar operated by expert mixologists and bartenders. An ever changing list of world-class DJs can be found playing top 40 and hip hop in another area of the club. In every direction you turn, you’ll find beautiful artwork and one-of-a- kind sculptures. Like most popular Las Vegas nightclubs, Apex offers bottle service to those who prefer to start partying instead of having to wait in line. With bottle service, your group will be directed to a private table where you can sit, socialize, and dance. You’ll also be provided with private servers and your own security staff. It isn’t always easy to find a good place in Las Vegas to host a party or private event. Most venues are packed or make you jump through hoops to get a table. At Apex, the staff is highly accommodating when it comes to parties and events. Whether you’re planning a bachelor party, bachelorette party, birthday party, corporate event, or just a girl’s night out, you’ll have access to a variety of package options at Apex. The new club prides itself in offering lavish services in a laidback setting. 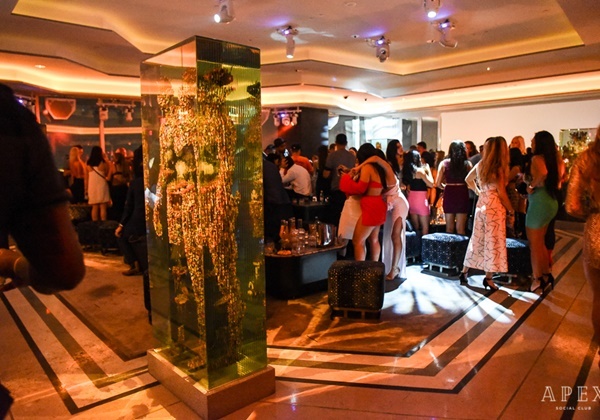 Apex Social Club opened its doors on Memorial weekend of 2018. Since then, the Las Vegas club has become a go-to venue for party-goers in search of an upbeat nightlife spot. When you arrive at the Social Club, you can expect a wait time of about 20 to 40 minutes on average. Cover charge to get into the club is at the doorman’s discretion, but typically ranges from $20 to $40 for guys. Women generally get in free. Apex is open every night from Thursday to Sunday. Due to the current popularity of the venue, any night is a good night to visit. 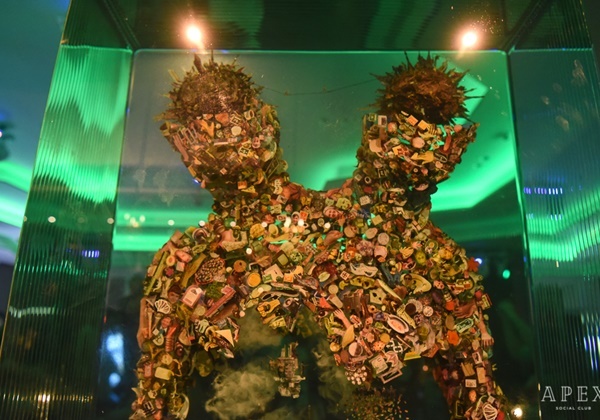 Like most nightclubs in Las Vegas, you’ll have to follow the strict dress code if you want to get past the doorman. At Apex, the recommended dress code for men is collared shirts, jeans, and dress shoes. You’ll want to avoid wearing any type of sportswear, including sneakers, jerseys, and hats. Cocktails can be pricy, ranging from $15 to $20 on average which is normal for clubs of this caliber. Pricing for table service can range depending on the night and the type of event. However, bottles start at $550 and go up from there. If you’re looking for the best tables at Apex Social Club, opt for one of the dance floor booths. These are located in the area before the balcony entrance. If you prefer some fresh air, the balcony tables are also a great choice. 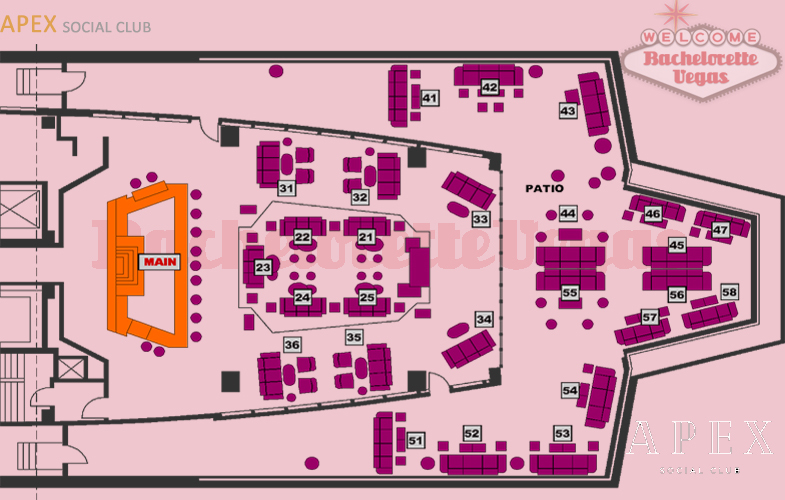 Depending on where the DJ has set up for the night, the balcony tables may actually be the main tables. If you’re planning a visit to Apex Social Club, be sure to also check out the lineup of entertainers. Previous performances have been made by the likes of Quest Love, NAS, and Travis Barker. For reservation or VIP linepass to Apex Las Vegas, please contact us..